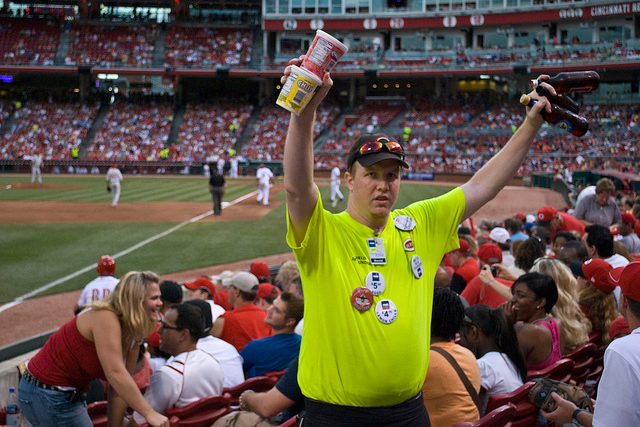 The guys and gals in yellow jerseys you see at the ballpark selling beer, hot dogs, popcorn, water, cotton candy – they really hustle. Their paycheck depends on their performance each game. 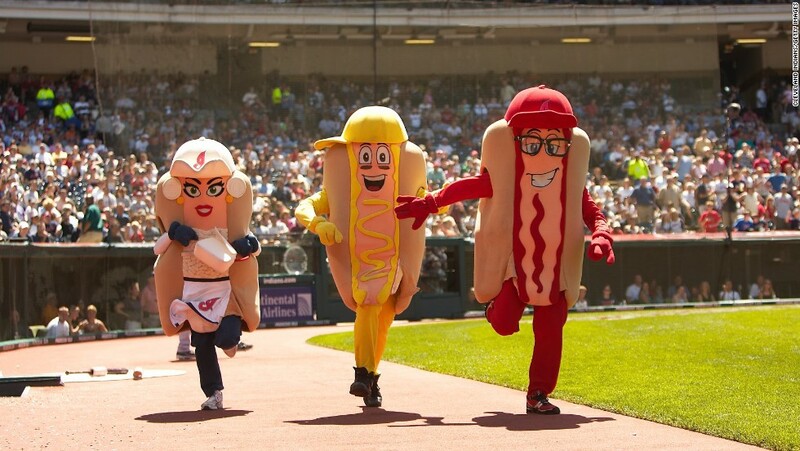 So what can your business take away from a hot dog vendor’s sales strategy? Vendors work on commissions, so the more they sell, the more they make. Every night, the vendors assemble to pick the food or drink they want to sell that night — the product. They also pick the section they want to sell it – the territory. The guys who’ve been there the longest get to pick first. Naturally, the veteran vendors pick beer. For everyone else, there is some serious strategy that goes into their pick. José is the 20th pick at Fenway – which means he never gets to sell beer. Yet, he’s been the top earning vendor at Fenway for years. He’s a bit legendary. So, while, like José, your business may not get all of the breaks, you can outsell and outperform others in your market – starting with understanding your audience. 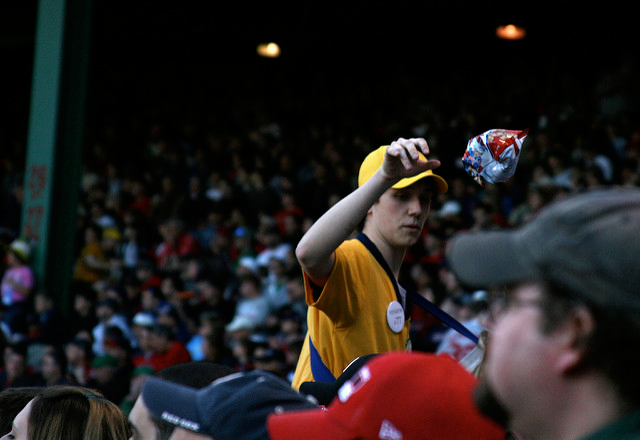 Beer is a big seller at a baseball game, but there are intricacies to every product. 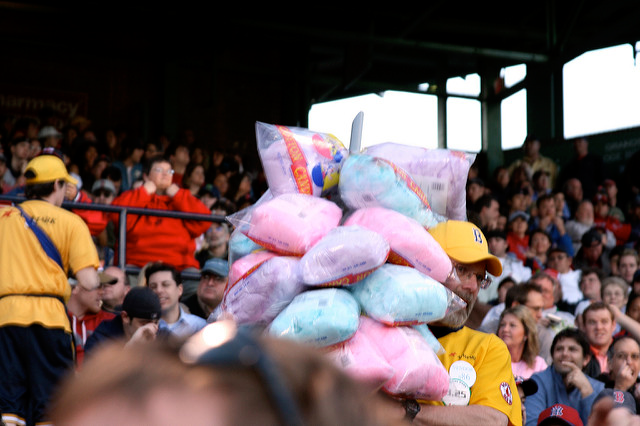 For instance, parents aren’t going to buy their kids cotton candy on a school night, and diet coke sells well behind home plate (where the “vain” people sit, according to the interview) while regular coke sells much better in the bleachers. When you understand your audience’s background, their day to day lives, their motivations and challenges, you can match your product and messaging to meet their needs, giving you a much easier sell. Our persona workbook is an easy way for small businesses to better understand their target audience. One of José’s strategies is to look at the vendors selling the same product. He tries not to pick a product that another good vendor is selling – which would cut into his commissions. And, when José makes a sale, he immediately starts scanning the crowd not just for where his next customer is, but for other vendors, too – so he can avoid selling in the same section as competing products. Keep tabs on your competition. Can you adjust your strategy to put your business where there’s less competition? How can you position your brand to differentiate your business from competitors? Sure, selling beer on a 90-degree day in Saint Louis (Hatchbuck’s headquarters) is easy. But what if it’s rainy and in the 50s and there’s no beer left to pick? (That happens when you’re frequently in the playoffs in October – like the Cardinals). Snow cones probably wouldn’t be your best bet, but hot dogs or hot chocolate might be a big seller. Competitors come and go, business needs evolve and technology is constantly changing. Pay attention to trends and forecasts so you can weather any storm. At the end of the Planet Money podcast, José, the top earning vendor, doesn’t even know who the visiting team is that night. It just not important. José looks up to check the time, to see what inning it is and calculate how much time he has left to sell. But who the visiting team is? It just doesn’t influence José’s selling strategy. It’s easy to get excited about new ideas and get taken off task. 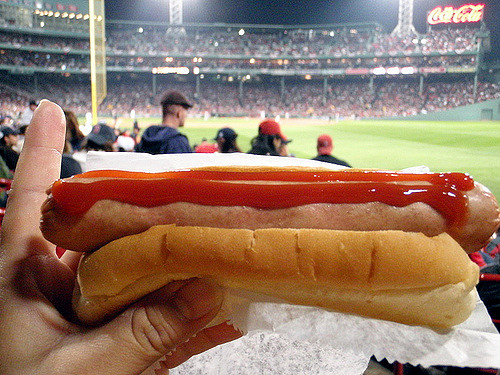 While other vendors are stopping to watch a play, or take in the beauty of Fenway, José is selling another hot dog. You may be tempted to shift gears to a new product idea, or chase a hot new segment of the market. While it’s important to evolve, make sure every endeavor has a place in your overall strategy and keep distractions at bay. 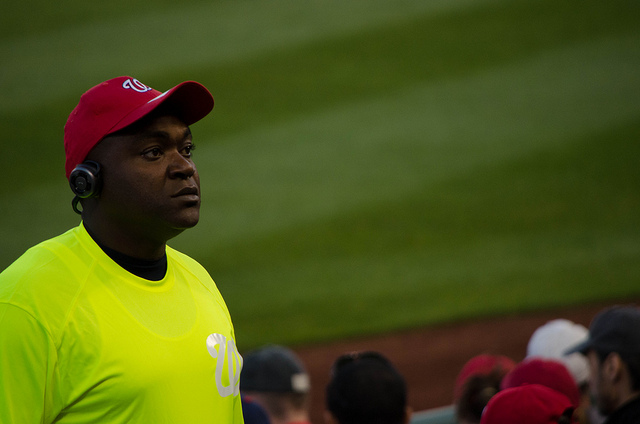 The more efficient stadium vendors are, the more they can sell. So if they’re fumbling around trying to make the correct change for 5 minutes, they are missing out on another sale. It’s the same for your business. If your process tends to get gummed up, you’re missing out on opportunities to reach a potential customer and close another sale. When it comes to sales, timing and follow-up are everything. 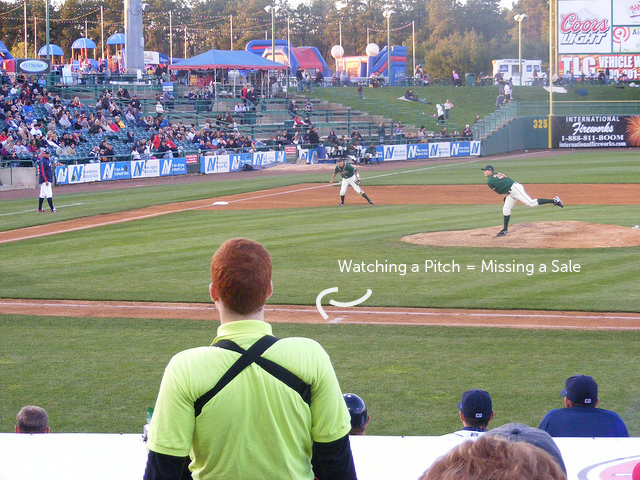 Get your sales and marketing process in place, then use the right technology to keep things humming in the background. So, the vendors at Fenway work for a big food manufacturer, Aramark. In the old days, a manager – a suit in a stadium office – would decide what products to sell at the beginning of the night. What Aramark learned, however, is that the vendors actually have a much better pulse on the stadium. The mood of the crowd, a slight change in temperature can have an impact on what sells. Now, the vendors have complete control over which products go in the stands every night. And, because they’re paid on commission, they’re incentivized to pick what’s going to sell the best. By taking a bottom-up approach and putting the power of the “pick” in the hands of the vendors, Aramark has a much more efficient and lucrative process. One of the challenges of running a business can be delegating important tasks to your employees. But the fact is, you can’t do everything alone. When you give your employees more responsibility and autonomy, they are motivated to contribute more to the business – a win for everyone. Assign the right tasks to the right people, and you can focus on your overall strategy, rather than the day-to-day minutia. Towards the end of the game, the Red Sox are up, and fans are starting to thin out. Most all of the vendors have left the stands – except for one. 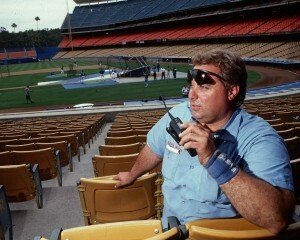 José is still working, and now that all of the competition has left, he moves out of his territory in the bleachers and does a loop around the stadium to hit other sections, selling hot dogs until the bitter end. Sheer persistence and hard work – neither take any inherent talent, but they yield big results. After all, José is the top vendor at Fenway park. You could slow down after hitting your sales goals for the month – but then you’re giving your competition the edge. Stay in the game and keep pushing yourself and your business to the top. Is Your Business Throwing Great Leads Out the Window?